There’s seems to be no shortage of ways to find love. Last night, I was reading an article on?Inc.com written by Tim Donnelly. Tim?listed online dating and matchmaking as one of the best industries in 2011 for starting a business. Apparently everyone is joining in on the digital dating bandwagon. 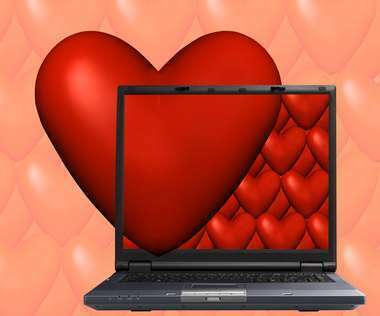 According to the numbers from IBISWorld, there are 14,427 online dating and matchmaking sites in the United States. Cyber-Dating Expert, formed in 2008 is proud to one of them, helping singles create irresistible profile and find dating, love and romance in a Web 2.0 World. Back in the early days of online dating, 15-20 years ago, you didn’t brag about. It’s only been in the past few years that the surge of online dating for the masses has become socially acceptable. Sites are popping up daily, and if you’re single and are on facebook, there’s a great likelihood that you’ve also signed up for one of the thousands of Internet dating sites. Not a day goes by that I don’t hear another success couple which I enjoy featuring in the Cyber Love Story of the Week. But dating is a numbers game. You have to play to win. You also may need to widen your search to consider dating someone older or younger, and even change the radius of your search to meet someone in another city or country. I encourage you to change your zip code while traveling for vacation or business and to be open to the possibilities. There are over 96 million singles in the United States and over 116 million singles visiting online dating sites worldwide. There’s no excuse anymore. There are great singles out there finding love online. It’s time to dip your toe in and sign up for an online dating site.